Would you like to fix your smile, but think it takes too much time or is too expensive. At Dameron and Team we provide affordable, quality tooth-colored composite fillings, porcelain dental veneers, natural-looking porcelain dental crowns and bridges and tooth bonding. Dr. Brett Dameron is the gentle Scottsdale area cosmetic dentist you've been looking for. Fill out the form here on our website, or call us today at (602) 992-1384. Our friendly staff will be happy to schedule an appointment with Dr. Dameron where you can learn about all of your options. Don't let untreated dental problems get you down. Rebuild your confidence with a beautiful new smile. From simple treatments that make a big difference, to more extensive work, unveiling the smile you were meant to have can have profound life-changing effects. Serving the Scottsdale, AZ area and offering cosmetic dentistry, Dr. Dameron can help you develop an affordable treatment plan you'll feel good about. 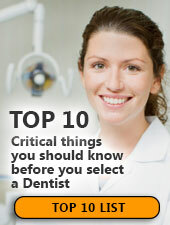 Brett Dameron, D.D.S., in the Scottsdale area accepts Cigna Dental® insurance. Our friendly team will be happy to file your insurance paperwork for you. If you're looking for a highly-trained cosmetic dentist in Maricopa County you've come to the right place. Dr. Dameron offers cosmetic dentistry that Maricopa County residents depend on for the highest quality dental care. As a member of DOCS in the Phoenix, AZ area, Dr. Dameron fully supports its mission is to further scientific knowledge and professional education in conscious sedation dentistry to help create a safe and welcoming dental experience to those who avoid seeking care due to fear. Peroxide toothpastes not only lighten the teeth but also kill germs. Finally, sweeteners and flavorings are added to mask the taste so that you'll use it. Call Dameron and Team at (602) 992-1384 and we’ll be happy to recommend a toothpaste that’s right for you. The real culprit in carbonated soft drinks, however, is the fizz itself: carbonic acid. A sugary, un-carbonated drink like Kool-Aid is actually easier on teeth than, say, Diet Pepsi. So watch your consumption of soft drinks and be sure to contact Dameron and Team at (602) 992-1384 to schedule a dental checkup.